It has always been my bizarre desire that my fart would smell like a freshly baked vanilla cupcake. However, considering the obtuse and thoughtless diet that I have, this impossible dream is so very unlikely to happen. The smell of my fart will forever be a stink that can cause global catastrophe. However, the smell of my digestive gas has considerably improved last weekend during the few days of my stay in Ho Chi Minh, Vietnam. 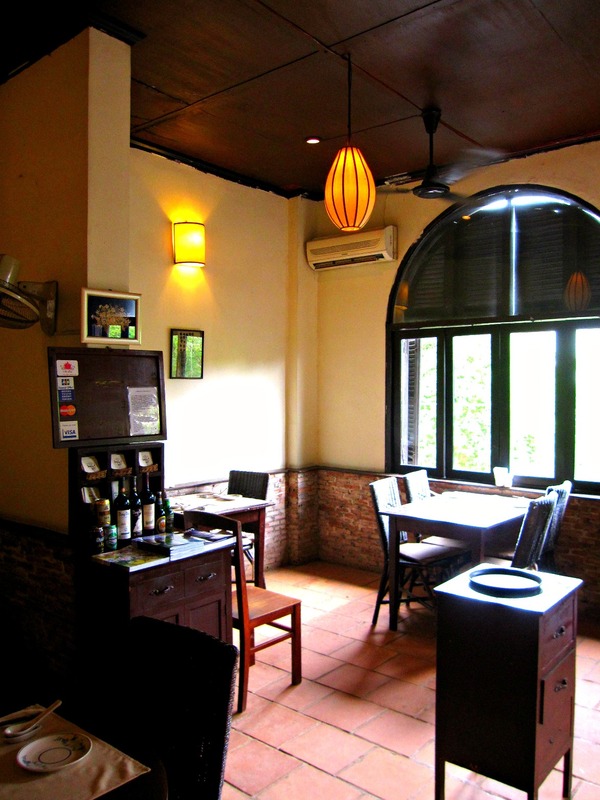 This improvement can be attributed to the type of local food served in Vietnam. It’s usually fresh greens, garden crops, fresh greens, edible parts of plants like seeds, flowers, stalks and more fresh greens. Did I already say fresh greens??? Meats are included in their dishes but only at a very minimal amount. Because of this, the generated gas from my stomach and intestines has gone odorless. Don’t get me wrong about Vietnamese food. I happen to get to like them especially the food I and my trip-mates ate when we dined at a rustic-countrified-looking restaurant which serves home-style Vietnamese cuisine. 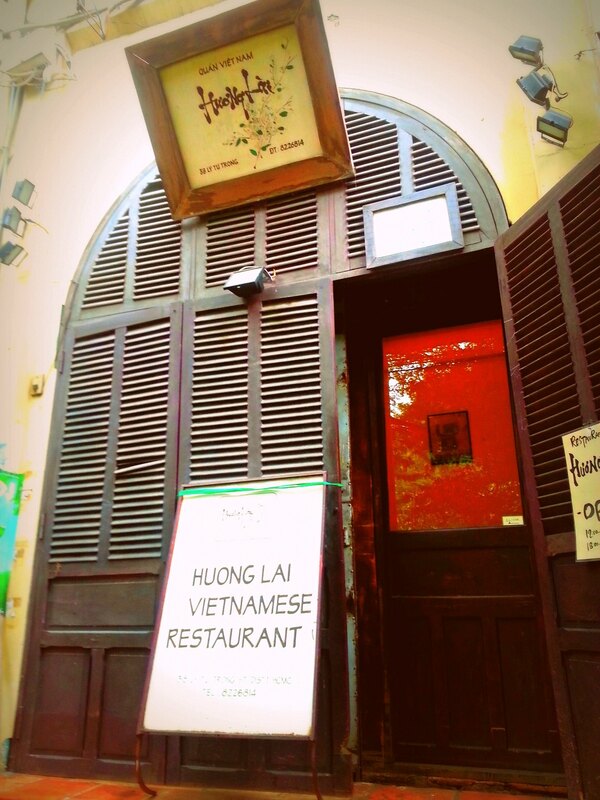 It is called Huong Lai, a little gem of a restaurant located along Ly Tu Trong Street in District 1, Ho Chi Minh. the eggplant was superb!!! an uncomplicated dish yet with heavenly flavor. 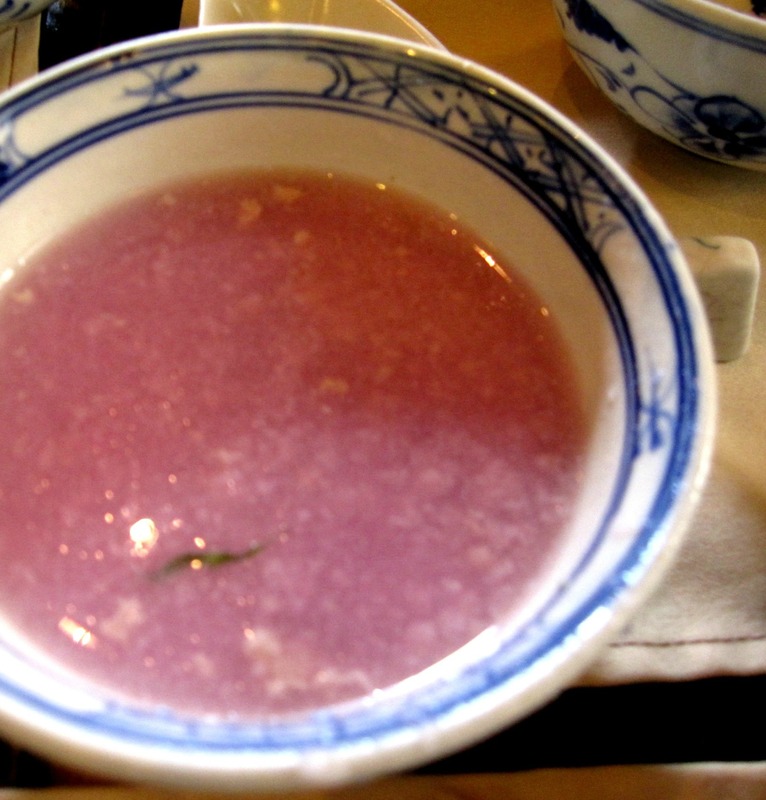 i was particularly surprised by the taste, temperature and texture of this purple yam soup. super yummy!!! though philippines has better tasting leche flan, it was my first time to taste longan fruit ice cream. i was raving about it. 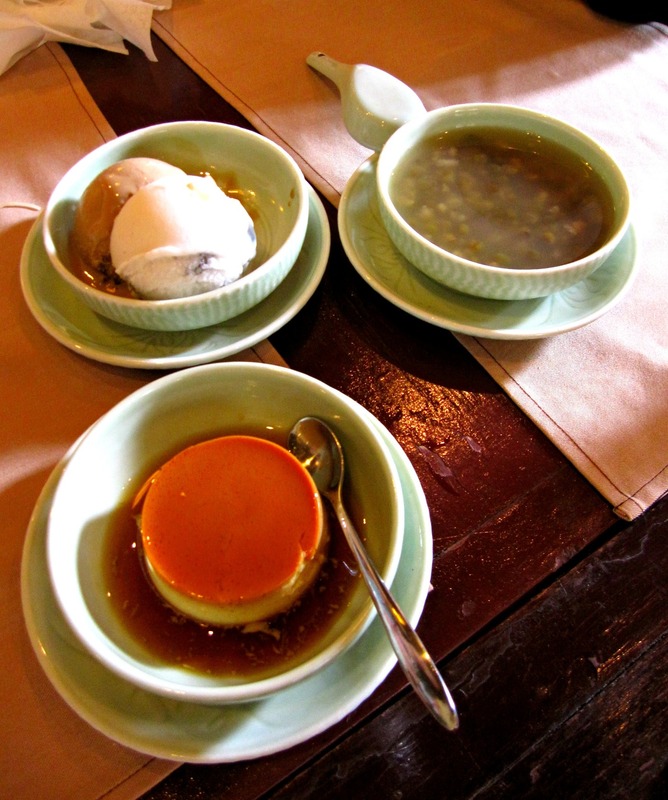 it was also my first time to see sweetened mung bean soup (minatamis na munggo) served as a dessert in a restaurant. I love this restaurant!!! It’s façade and interiors were simple and non-imposing yet the dishes they serve were borderline orgasmic and heavenly delicious. The flavors and textures were elegantly gentle and light. 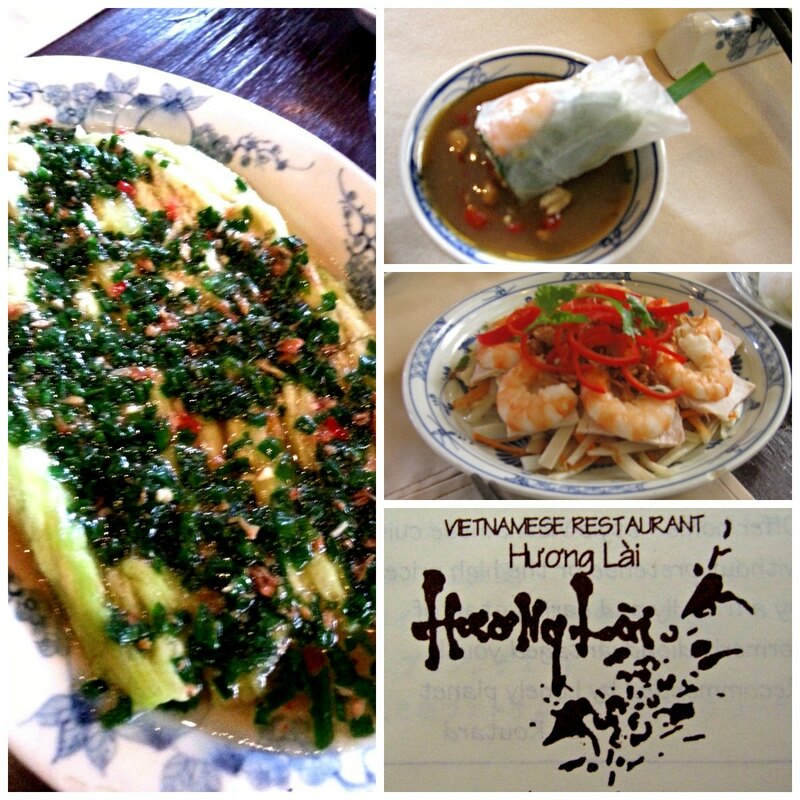 At the end of the meal all of us were simply raving about the dishes and was left charmed by the home-style Vietnamese cooking of Huong Lai. It definitely was worth the visit! Puro gulay ang tsibog sa Biyetnam kaya walang amoy ang utot ko! Hahaha!